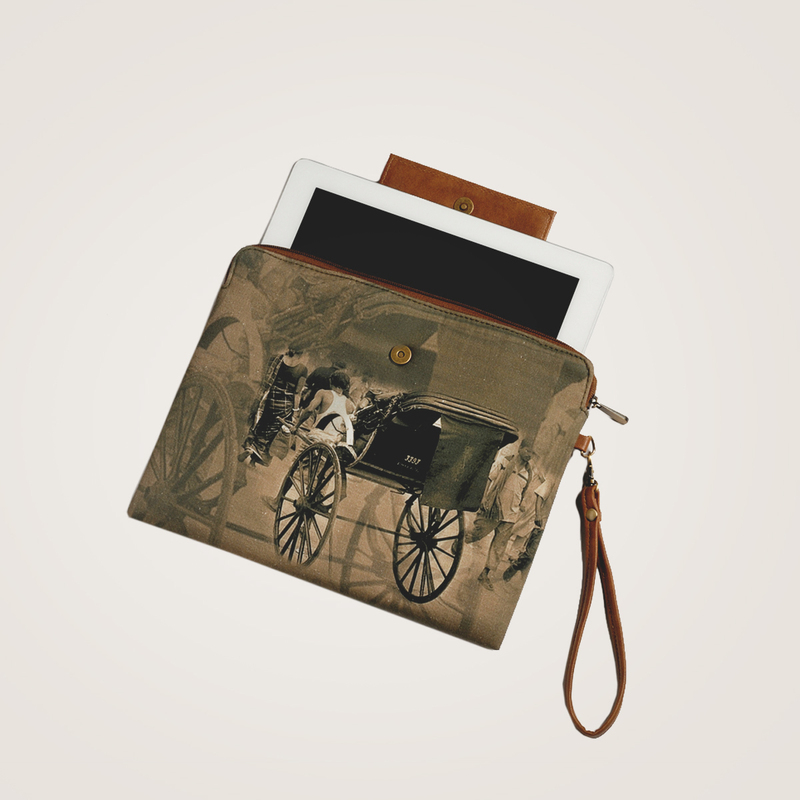 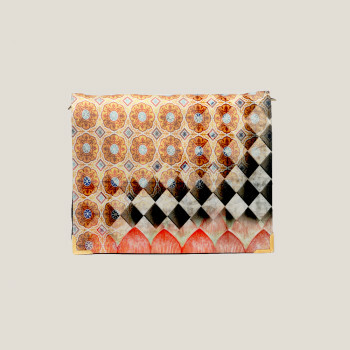 This vintage haathrickshaw print I-pad cover is an easy favorite amongst Men and Women. 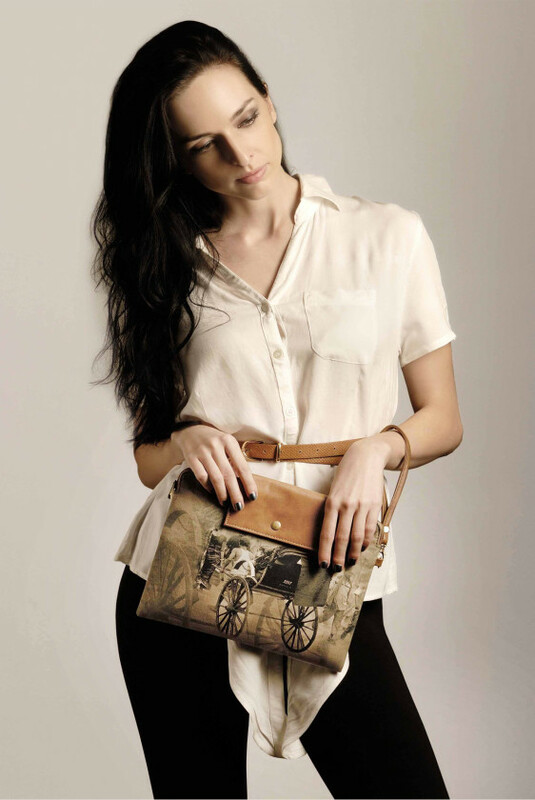 Beautiful shades of sepia and brown makes it look very classy. 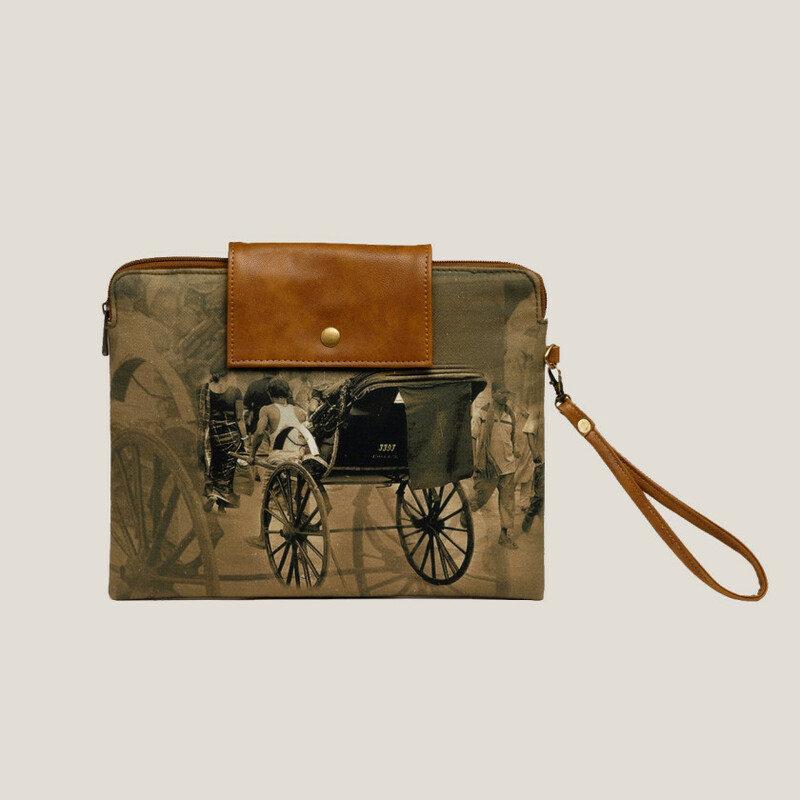 The image used on the clutch is of a Haathrikshaw puller. 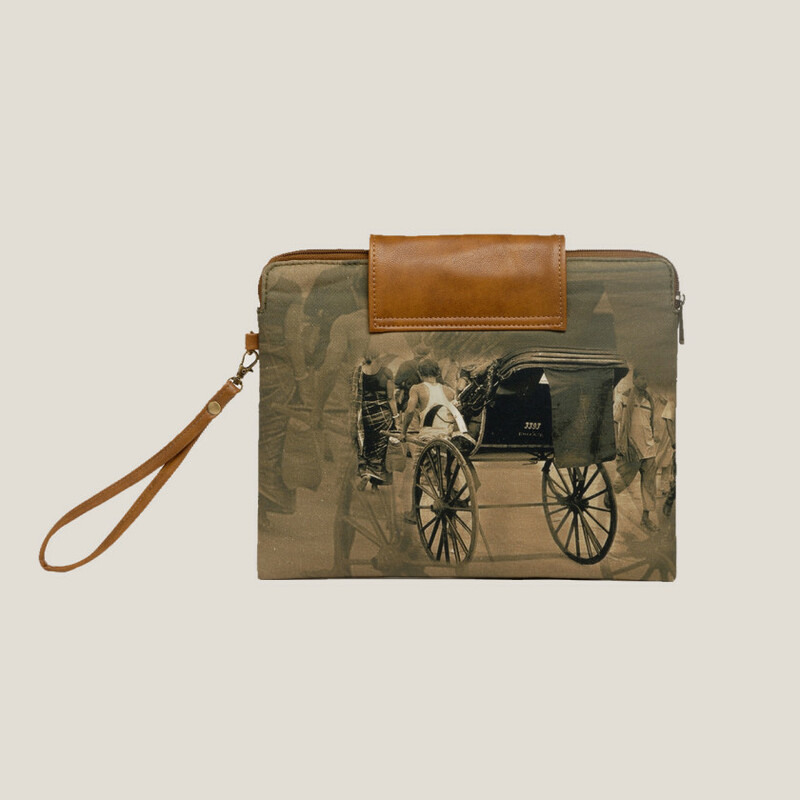 Haath Rickshaw use to be the most common form of transport in Calcutta, India. 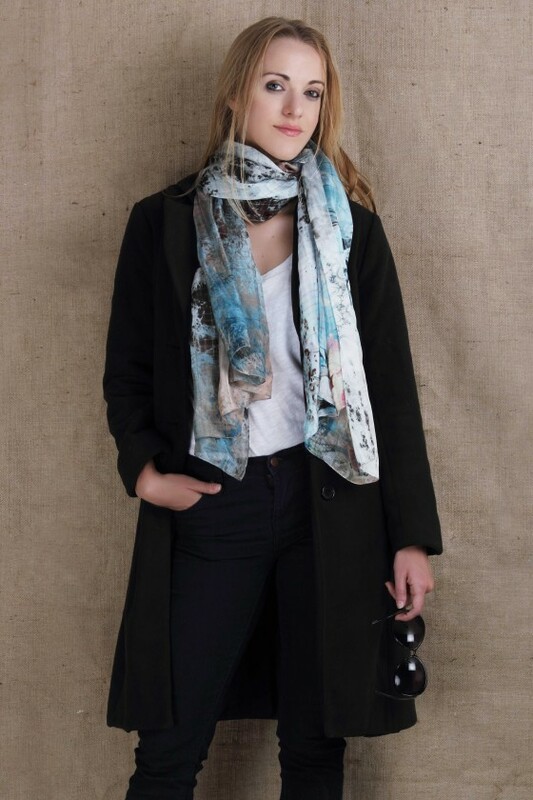 Be the first to review “HAATHRICKSHAW IPAD COVER/WRISTLET” Click here to cancel reply.